The winners were selected from nominations from the community and published in a special section in the March 18 edition of the newspaper. Read Tricia Gray’s Top 40 interview below. 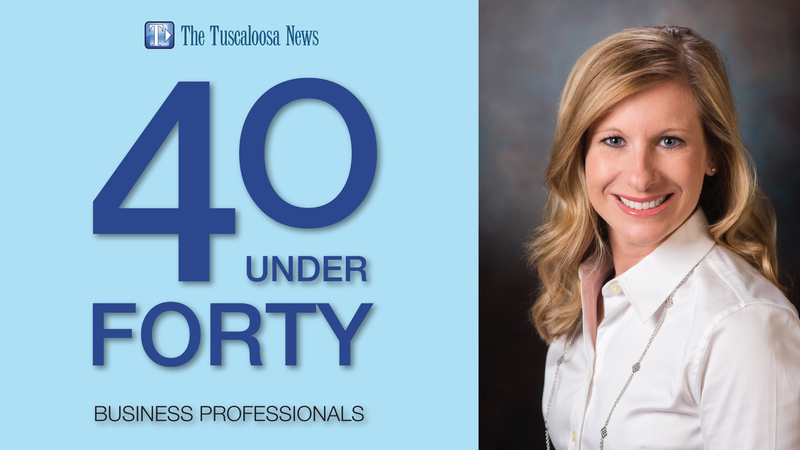 Professional Responsibilities: I represent residential buyers, sellers and investors in the Tuscaloosa area real estate market. I am acting CEO of The Gray Group at Keller Williams Realty Tuscaloosa where I manage a team of 6 REALTORS® (3 of whom rank among Tuscaloosa’s top 10 agents). I am a member of the Agent Leadership Council (ALC) for Keller Williams Realty, and am a founding principal of Keller Williams Realty Tuscaloosa, the top selling firm in the area in 2017 (transaction sides). Community Involvement: I participated in Keller Williams RED (Renew, Energize, and Donate) Day in May by helping build a Habitat for Humanity home in Tuscaloosa. RED Day is an initiative dedicated to celebrating Keller Williams Realty’s year-round commitment to improving our local communities. I continually support KW Cares by donating a portion of all of my and my husband’s sales to the charity. KW Cares is a 501(c)(3) public charity created to support Keller Williams associates and their families with hardship as a result of a sudden emergency. Hardship is defined as a difficult circumstance that a person or family cannot handle without outside help. Locally, I serve on the board of Tuscaloosa’s One Place and avidly support Restoration Ranch, Outback America, and the Thomas Plott Foundation. Other Certifications or Awards: I ranked as Tuscaloosa’s #7 real estate agent for total transactions in 2017, with my team selling more properties than any other real estate team or single agent in the area. In 2017, I was awarded the BNI Notable Networker of the Month for the SE Region and the KW Triple Crown. Keller Williams recognized my team as the #2 Keller Williams Group in Alabama in gross commission income and as a Millionaire Real Estate Agent for 2017. Hobbies and Passions: I enjoy going to the lake with my family, working out and playing softball. I love to attend Alabama football games and gymnastic meets. Why did you go into your particular field: I’ve wanted to be a REALTOR® since I was in the 8th grade. It looked like a fun and interesting career, so I stuck with it! How do you hope to grow in your career: I hope to continue working with past clients and referrals helping more people buy and sell homes in Tuscaloosa. I also look forward to expanding our team and even forming an expansion real estate team in another city one day!